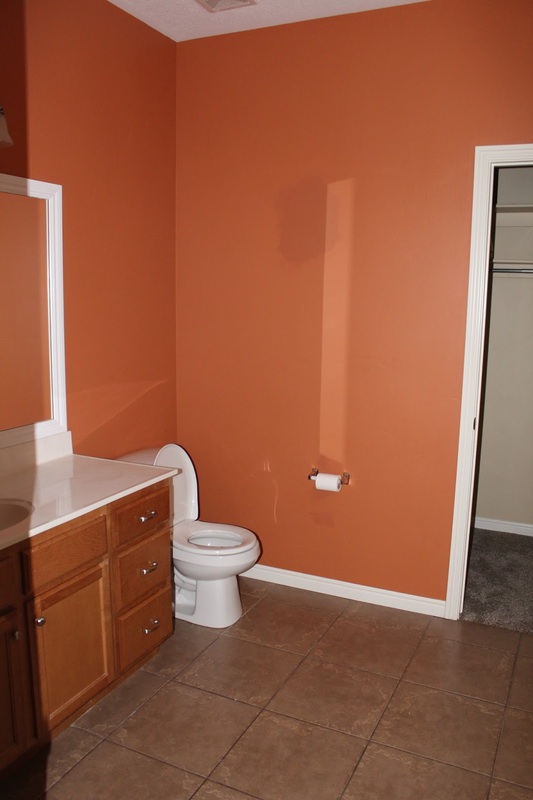 Last time we saw the master bathroom, everything was done except for the floor tile. I am happy to say that it is finished and we are LOVING IT! 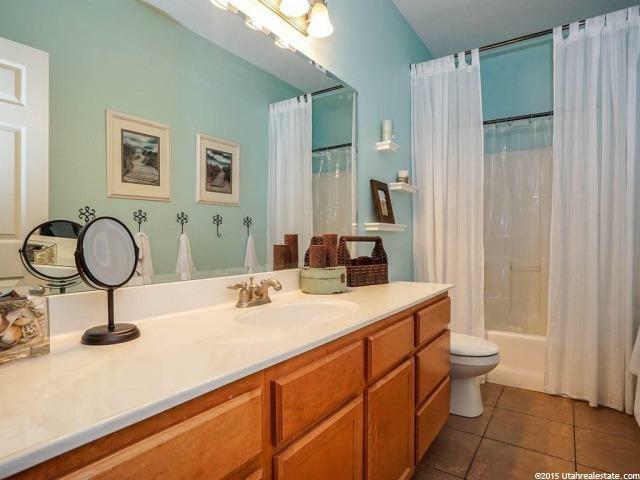 I couldn’t find my picture from the day we moved in, so here is a picture of the bathroom I had to get online when the home was listed. This bright orange bathroom was pretty bright with the lights on if I do say so myself!